During Prohibition, speakeasies abounded in Manhattan, with educated guesses placing the number somewhere between 20,000 and 100,000. Tudor City -- ever the full-service community -- of course had its own outpost, Gus & Eddie, one of many in midtown. We only know its name since its membership card (above) somehow survived, and today is part of a collection in the Museum of the City of New York. These cards were given out to regulars for immediate access; outsiders were required to supply a password or secret knock. 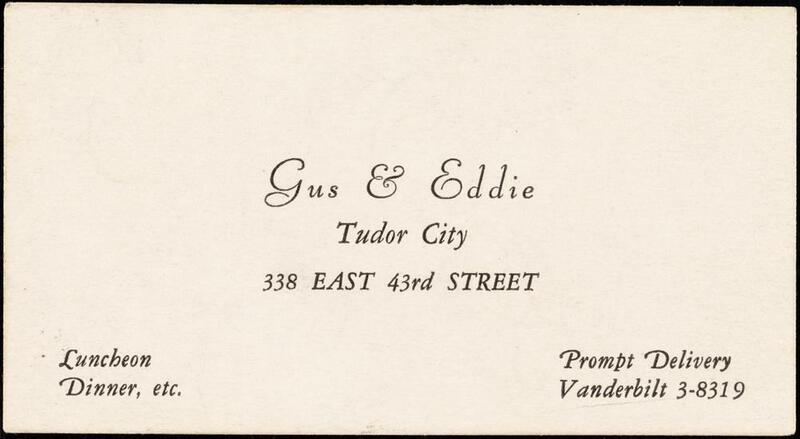 Speakeasies came in all styles and sizes, and we suspect that Gus & Eddie was a rather nondescript joint operated out of the basement. Whether it ever served luncheon and dinner was beside the point -- it was the "etc." that drove the business, along with Prompt Delivery of the etc. Above, the site of the club today (with a light over its entrance). Built in 1870, No. 338 is one of the four landmarked rowhouses in Tudor City. 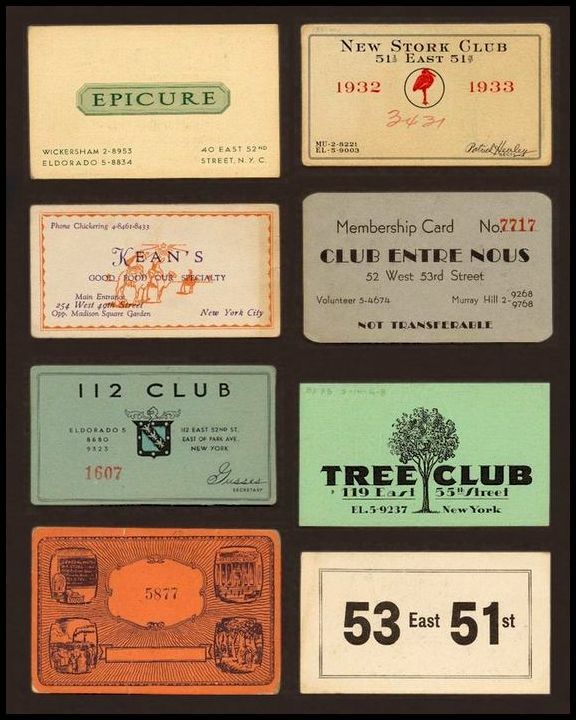 Below, a selection of other midtown membership cards from the era. Some places like the Stork Club morphed into legendary nightclubs after the repeal of Prohibition.